As another semester wraps up and we are looking ahead to our senior year, we find ourselves reflecting on the classes that have made the biggest impact on our lives here at Saint Joseph’s University so far. You might be surprised to learn just what they are! Read below to find out…. In my time at Saint Joseph’s University, I’ve taken many courses in many different subjects. Being a Biology major, you might think that my favorite course is in the STEM field. While I’ve found lots of positives in all of my STEM-related courses, I have unexpectedly found a love for something else as well. Ethics has become one of my favorite subjects while in college, particularly Just Healthcare in Developing Nations. I learned an immense amount of valuable information while taking this course, and I also had the opportunity to reinforce the material on a study tour to Cuba. This course prepared me well for my anticipated career in health care, and it also allowed me to advance my problem-solving skills. I believe that bioethics is an essential component to good health care, and I highly suggest taking a course or two on the subject! I have taken a lot of great courses in my three years at SJU. As a Mathematics and Actuarial Science double-major, my semesters are always filled with lots of math-heavy classes. Some of my favorites have been Probability, Differential Equations, Finance and Insurance. Although I love the classes for my majors, I have really enjoyed taking the classes required as part of the General Education Program (GEP). One of my favorites was Theology 154 – Faith, Justice and the Catholic Tradition. I am Catholic and grew up going to church and CCD classes, so I had a pretty solid knowledge of the Bible before starting the class. However, the class was less about the history of Biblical events, and more about the ideology of Catholicism and its applications to daily life. The course made me think introspectively, and I felt like I could apply what we were learning to my life outside the classroom. It was a course which was friendly for people of all religious backgrounds, but I especially appreciated the new perspective on my own religion. Taking GEP courses can seem like a hassle or a bore at first, but if you approach them with the right mindset, you may be surprised by how much you can actually gain from them! It was only a year ago when we were figuring out which college to attend. Although we were planning on majoring in varying fields related to STEM, our paths all crossed due to the McNulty Scholars Program. 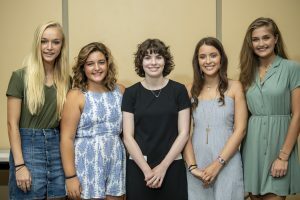 This was a unifying advantage that Saint Joseph’s University has to offer, and one of the primary reasons we all chose to attend. Below are some of our favorite aspects of the program. 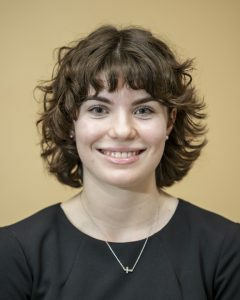 Briana Baier (Computer Science): My favorite aspect of the McNulty Program are the weekly seminars we have on Wednesday nights. We all gather in a classroom in the Science Center and have the opportunity to hear about some very interesting projects, including those of some of our own scholars. By attending these weekly meetings, I have learned so many new things about what it means to enter into a career in a STEM field. 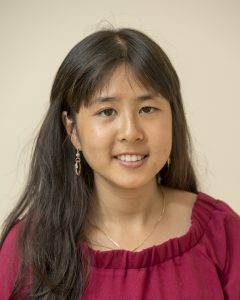 As a computer science major, I have had the opportunity to listen in and see how my field of interest is so deeply entwined with other STEM fields, such as biology, chemistry and physics. These seminars have also helped me realize that the community I’m in as a McNulty Scholar is a diverse group of brilliant women. I have never felt like I am in competition with them. Instead it is an environment that fosters excitement and enthusiasm for the accomplishments of my peers. We all share our recent triumphs on projects, applications to grad school, a rigorous course load and so much more. The ability to have a place where I feel comfortable and can embrace my passion for science, all while enjoying a slice of pizza, is something I will never take for granted. April Pivonka (Biology): One of my favorite features of the McNulty Program is the numerous opportunities available for community service. I have always had a strong interest in helping others and the McNulty Program has allowed me to continue this passion. Thus far, I have volunteered at the Philadelphia Area Girls Enjoying Science Program and the Wagner Free Institute Community Days, where we conducted science experiments with children of different ages to educate and spark their interests in the scientific process. In addition, I recently was given the role of liaison between the Wagner Free Institute and the SJU students to determine, organize and facilitate activities related to hibernation and Groundhog Day. Inspiring younger students in science is a priceless opportunity which I am so thankful that the McNulty Program has provided me. 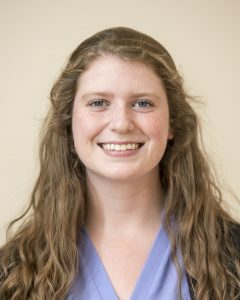 Katie Lynch (Mathematics): One of my favorite elements of the McNulty Program is the McNulty Central study room in the Science Center. I go there in between classes, early in the morning, and late at night to get my work done and interact with other McNulty Scholars. At every school I have attended thus far, I make sure to find a special spot where I feel completely and entirely at home. McNulty Central is certainly that because there, I can scribble math equations onto the whiteboards before an exam or simply de-stress in between classes. The couches and Keurig make the room feel like a home within a home, and the encouraging feminist mural and pictures motivate me to be the best version of myself. Whether my brain is fully powered and in motion, or at peaceful ease in the quiet, McNulty Central has allowed me repose from the chaos of the school day. 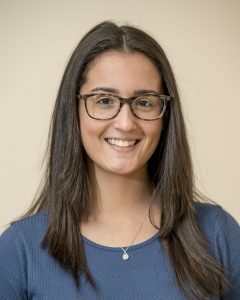 Arianna Varano (Biology): One of my favorite parts of the McNulty Program is the unique opportunities for service presented to us. Like April, I’ve had the opportunity to volunteer at the Philadelphia Area Girls Enjoying Science Program and the Wagner Free Institute Community Days where I was lucky enough to demonstrate science experiments for the children and young girls of the community. Having the ability to share my love of service and science with the local community and the other women in the McNulty Program (who share the same passion for STEM as I do) always makes my love for the McNulty Program grow. Before we can sit back, relax and celebrate the holidays with family and friends, we have to get through FINALS WEEK! Depending on your test schedule and how many papers you have to turn in, that can get pretty stressful. Here are some ways that we chill out in the face of all that work! Thi Nguyen (Biology): As a person who absolutely loves being outdoors, one of my favorite activities in times of stress is running. It’s a great way to clear your mind while increasing your fitness. In addition to having the opportunity to be out in nature, running with friends always makes the experience more fun! 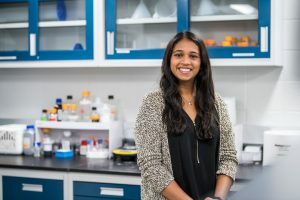 Iswarya “Ice” Vel (Biology / Business Intelligence & Analytics): My favorite way to de-stress during finals week is to give myself breaks during my studying. I either like to watch TV shows or go out for something to eat with my friends. My favorite show to watch right now is Parks and Recreation. My favorite place near campus to get food is Honeygrow. These breaks give me the chance to forget about the tests that are coming up! 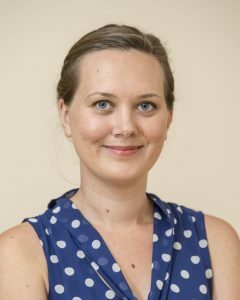 Maria Johnson (Biology): Something about making lists makes that huge pile of work seem just a little less daunting. During a time when it feels like I have to do everything at once, making a list of the tasks ahead helps me focus, prioritize and (most of all) stop worrying. Not only do I feel a sense of accomplishment once I check off an item, but also I am far less likely to forget something. When I make a list, everything I need to do is clear and concrete, and I can break my work down into manageable tasks instead of trying to tackle everything with no plan. Zoe Mrozek (Biology): My favorite way to de-stress during finals week is to head to my favorite place on campus for a little bit: Wolfington! Nothing makes me feel better during the craziness of studying for exams than sitting in the community room by the fireplace, hanging out and laughing with friends. And during this time of the year, Wolfington is always decorated and stocked with hot chocolate to remind me that Christmas is coming soon! Michelle Wheatley (Mathematics): My favorite way to de-stress is to go to the gym. I grew up in the gym, and so being there is very relaxing for me. I try to go at least a couple of times a week because, for me, going to the gym is my self-care time. Practicing self-care, especially during finals, is one thing that definitely keeps me sane. Plus, going to the gym keeps me healthy, which is super important in college. 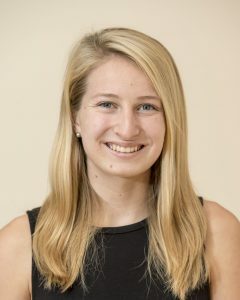 Emily Lehman (Physics): De-stressing during finals week is nearly impossible, but what brings me a little closer to sanity is making to-do lists for the day. I write large projects, like Study for my Physics Final, and small tasks, such as Make Breakfast. The sense of accomplishment I get from checking off even simple items really helps motivate me to continue on with the day’s work. If I’m overwhelmed at all, I will simply add items I have already completed and check them off. 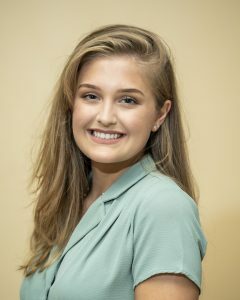 Maura Flynn (Biology / Psychology): My favorite way to de-stress is to listen to throwback songs, such as songs from High School Musical or Hannah Montana. My roommates and I like to dance around in our apartment. We always end up laughing our heads off, which is truly the best medicine. Being surrounded by my best friends and roommates makes me remember the joys in life and anything I’m stressed about is quickly forgotten or made smaller. This is one of the many benefits of being able to live with your friends. 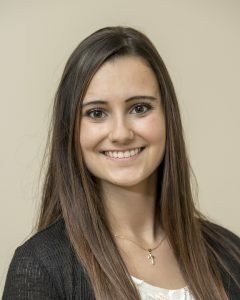 Gianna Penezic (Biology): My favorite way to de-stress is to grab a bite with a group of friends. I always feel so much better chatting and laughing with my girlfriends in between hitting the books during finals week! Being able to rant to each other or reminisce about shared experiences always puts me in a better mood and refreshes me for when I have to get back to work. Also good food always makes my day better! HAPPY HOLIDAYS AND OUR BEST WISHES FOR A VERY HAPPY NEW YEAR! 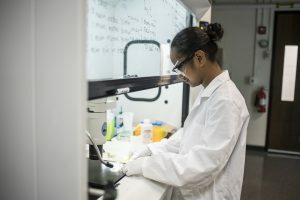 We spend so much time on campus, in our classrooms and in our labs, sometimes it’s difficult to picture ourselves anywhere else. But over the past year, whether by way of a family vacation or an academic conference, we have all had the chance to visit new places. And as the weather gets colder and finals loom, it’s definitely fun to escape back in our minds to those stunning, pastoral places. 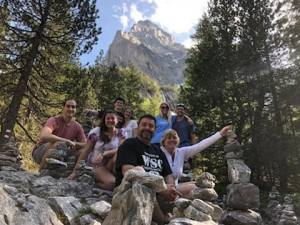 Isabella Succi (Biology): This past summer, my family and I traveled to Switzerland. We stayed in Interlaken, but we took day trips to Zurich and Lucerne. I have to say Switzerland is one of the most beautiful places I have ever visited! The air was so crisp. The scenery was unreal. And there were so many fun things to do. We went hiking, kayaking and took a lift to the top of Mt. Pilatus. It was a truly unforgettable trip. If you ever have the chance to go, I would highly recommend it. 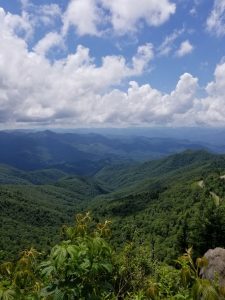 Mary Kate Dougherty (Chemical Biology): Over this past summer, my family and I visited Great Smoky Mountain National Park. We went on plenty of hikes to different lookouts and a few waterfalls. While many of the hikes were a literal “uphill battle,” the scenery was always worth it. 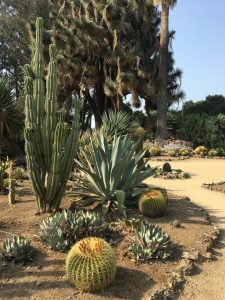 While on the subject of travel, I am actually writing this post from San Diego, where I am attending the Neuroscience 2018 Conference, thanks to the McNulty Program. I am learning so much about the field of neuroscience during my time here, and certainly look forward to sharing it all with my labmates and fellow McNulty scholars when I return. 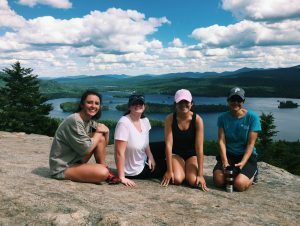 Sarah Muche (Biology): Through the McNulty Program, I have attended the annual NorthEastern Microbiologists: Physiology, Ecology, Taxonomy (NEMPET) Conference in the Adirondacks for the past two years. My first year, we went on a 4-hour hike through the woods, which was almost impossible for the novice hikers in my group. Although most of us slid the entirety of the way down the mountain and had to deliver our presentations in muddy clothes, I’d say the view at the top was worth it. I’ve been to the Adirondacks before, but it’s interesting to think that research and the McNulty Program brought me back to this unique spot, which I would probably not have ever explored in quite the same way. 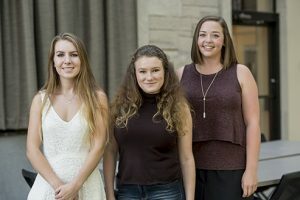 Alana Cianciulli (Biology): Last April, I was able to travel to San Diego for the Experimental Biology Conference with a few seniors from my lab. It was an incredible experience, as it was my first time ever on the West Coast. I have a major fear of flying, so although it was a little nerve wracking, being with my friends made the flight much easier. 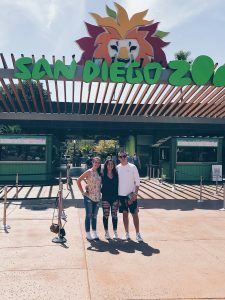 While at the conference, we visited the San Diego Zoo, which is one of the largest zoos in the country. We also rented bikes and rode around the city. Although we were there for academic and professional purposes, I was able to bond with these upperclassmen and become very close friends with several of them. We have kept in touch since they graduated. 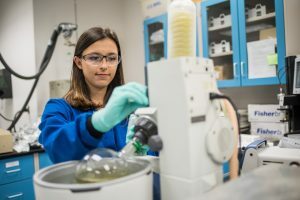 Corinne Merlino (Biology): At the end of the summer, I had the opportunity to accompany my McNulty research mentor, Dr. Julia Lee-Soety, to the National Yeast Genetics Meeting at Stanford University in California. We presented a poster highlighting our research, which focuses on studying the telomere dynamics of yeast chromosomes to understand how telomeres contribute to cell aging and cancer biology. Throughout the week, I was able to attend presentations by some of the most prominent principal investigators in field of yeast genetics, and I networked with graduate and postdoctoral students from institutions around the world. Although we were there for the science, I had the opportunity to explore Stanford’s beautiful campus as well. The scenery there was so breathtaking, especially the views from the top of the bell tower and at the cactus garden. Overall, this trip was a wonderful opportunity for educational and professional development that would not have been possible without the support of the McNulty Scholars Program! 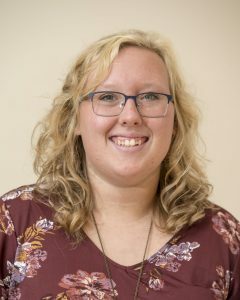 Ashl ey Frankenfield (Chemical Biology/Finance): One of my favorite memories here on campus was the opportunity to learn darkroom photography. Since I was young, I would always insist that my parents let me borrow their camera while on vacations. I’ve always loved photography and knew that I wanted to take a photography course for my art/lit requirement here at SJU. During my junior year, I finally got the opportunity. Over the course of a semester, I spent numerous hours in the darkroom trying to perfect techniques. My time in the darkroom was filled with laughter and numerous conversations with my classmates, and ultimately it set me on the path to grow as an artist. Elise Brutschea (Chemistry): Having sent the past three years here at Saint Joe’s, I’ve made countless memories. One of my favorite memories is my first day in a research lab. I started working in Dr. Mark Forman’s research lab during the Summer Scholars Program between my freshman and sophomore years. Dr. Foreman studies the effects of bond-angle distortion on alkenes, a class of molecules that contain carbon-carbon double bonds. I remember how nervous I was. My hands were shaking whenever I would hold an Erlenmeyer flask or beaker. I remember how intimidating and smart the seniors who were training us seemed. I remember how daunting the lab procedures seemed, and how it felt like I would never remember what to do. Looking back now, being a senior who has just trained new lab members this summer, I have really come to appreciate the past two years of learning through research. I have grown in confidence, and that first memory of lab really reminds me of just how much I have learned at SJU. 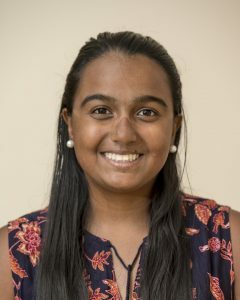 Lakshmi Narayanam (Biology): As I walked into my apartment, I was astonished to see decorations, balloons and food laid out as if there was going to be a party. A moment later, all my friends popped up from behind the counter and yelled “Surprise!” I was shocked that they had all taken the time and effort to plan out a fantastic party for my 21st birthday. Earlier in the day, I was feeling a little down because I was not spending my special day with my family. I didn’t think that anyone would really care that it was my birthday. After seeing the homemade nacho bar and special playlist including all my favorite songs, it dawned on me how my friends at Saint Joe’s are basically part of my family now. My friends are amazing and I have Saint Joe’s to thank for bringing these incredibly kind and caring people into my life. 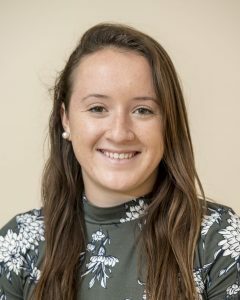 Kaleigh Williams (Biology): As someone who is aspiring to be a veterinarian, my favorite memories of SJU have been formed while working in the Biodiversity Lab. 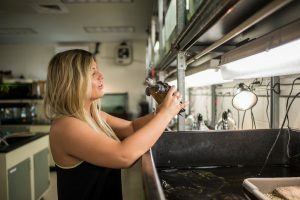 This lab houses many different types of animals, ranging from exotic fish species to endangered turtles. When I begin working in this lab my sophomore year, I instantly grew to love many of the animals in the lab. While I do enjoy caring for them inside the lab, I prefer for them to live and thrive in the wild in their natural habitat. While this is not possible for some of the turtles in the lab (due to their endangerment statuses or natural environments) we have been able to release some of our turtles around the Philadelphia area, as well as in North and South Carolina. My absolute favorite memory at SJU was when we released a few of our beloved snapping turtles into the wild. Seeing them swim off and enjoy their new home in the wild brought me great joy. Being able to see an animal go from a confined living space to a completely open and free living area was absolutely amazing. Because of this experience, I hope to continue to rehabilitate and release wildlife in the future. Jamilyn Mooteb (Physics): During my time here at SJU–away from my home in Yap, Micronesia–I have finally experienced the harshness of snow. Every winter since I have been here, snow has whipped across my face. I have slipped on the ice and sludged in wet socks through snowdrifts. Every year when the temperature drops, I start complaining to my friends about all things cold. Despite my negativity towards the cold, I have grown to enjoy one aspect of snow: just how fun you can have playing around in it. The first time I had fun in the snow was during my freshman year, when I went sledding at Sweeney Field with a red sled, a couple pieces of cardboard and a small group of friends. The only way you could tell that it was a sports field was when you noticed the snow-covered bleachers and lights watching us from above. We laughed. We slid around. We threw snowballs. From that day on, I didn’t mind the snow so much, and now I have many more great winter memories in the snow here at SJU. 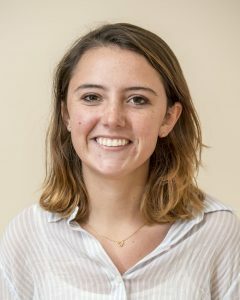 Marisa Egan (Biology): As a now second-semester senior, I find myself thinking about all of my fond memories on Hawk Hill. Upon reflection, I realize the impact of the academic experiences afforded to me by SJU. To say that these opportunities have merely helped me grow would be a grave understatement. Rather, they have changed my life. Because of my time as a student researcher, a teaching assistant (TA) and a supplemental instruction (SI) leader, I have redefined my academic and personal goals. 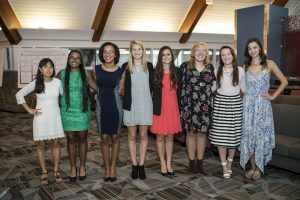 Moreover, the students and the professors here are extraordinary, exemplifying an unparalleled commitment to serving the world–with and for others. Their commitment inspired me to make my own mark through a career in research and teaching. My advice to the incoming McNulty freshmen? Fall in love with learning, both inside and outside the classroom! Explore your academic interests. Declare a few minors…I have three! As college students, we have the rare opportunity to learn from impassioned, inspiring leaders in their fields. Find your purpose and inspire others to find theirs. 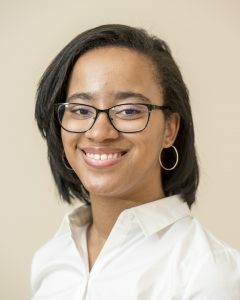 Shelley Donaldson (Mathematics): With May just around the corner, I’ve been constantly fielding the question “Are you ready to graduate?” The answer is yes, I am absolutely ready to move into the next chapter in my life, but there are many things I will miss about SJU. I will miss talking about music in the library with the other math majors when we should really be studying. I will miss chatting with the professors who care so deeply about my education and success. I will miss the view of Overbrook Pizza from my apartment window. I will miss this city. But above all else, I’ll miss the culture of service and social justice that permeates the campus. 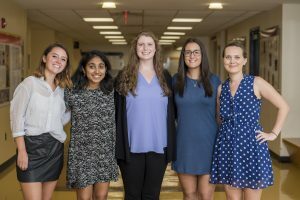 I began my career at SJU with the Philadelphia Service Immersion Program (PSIP), which is an early move-in program where freshmen learn about Philadelphia through community service. My group learned about food justice while working in a community garden in a part of Philadelphia where affordable, fresh food is not easily accessible. 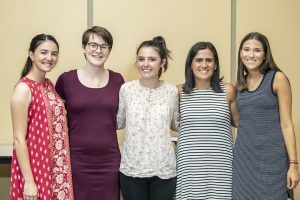 PSIP was the perfect beginning to four years of learning about social justice and solidarity, as well as truly being in community with others. Inspired by PSIP, I signed up to go on APEX, a spring break service immersion trip in the Appalachian region. Since freshman year, APEX has taken me to West Jefferson, North Carolina; Bluefield, West Virginia; and Clifton Gorge, Virginia. 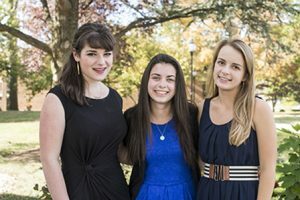 Each APEX trip presented unique lessons, challenges and opportunities for growth, and cannot be summed up into words. I have trouble imagining my time in college without these trips. APEX gave me the opportunity to meet and connect on a deeper level with fellow students who shared my passion for social justice. I was able to engage in meaningful conversations with members of the communities we were serving–conversations that taught me about the complexity and nuances of our country’s political and economic landscapes. Because I participated in APEX each year, spring break always became an intentional time to reflect, ground myself, be fully attentive and present to those around me, and marvel at our shared humanity. I attribute much of my personal growth in college to these annual trips, and it is my hope that wherever my post-grad life takes me, I’ll be able to find people just as committed to service and social justice as in APEX and the broader SJU community. McNulty Class of 2020: How We Eat Right to Stay Healthy in College! 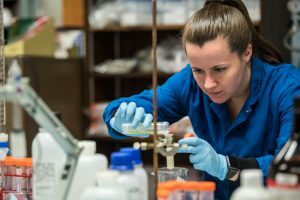 As college students, returning to campus after winter break can be stressful and overwheming, with classes, work, labs and the multitude of other activities we are all involved in. Running around campus, it’s easy to forget to eat, let alone eat properly. The pressure of New Year’s Resolutions helps to hold us accountable with our diets and exercise (at least in January), but as the weeks go on, these resolutions get lost. It’s easy to settle for convenience over health. 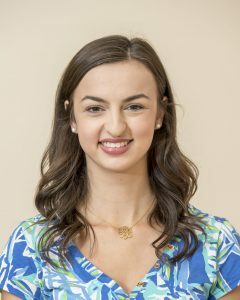 Annamarie Glaser (Biology): With my busy schedule, I’ve sadly found it hard to cook in my apartment this year. However, when I do find time in the morning, one of my favorite breakfasts is a bowl of steel cut oats packed with fruit; it’s a really delicious but simple meal that keeps me full through back-to-back classes, and it gives me the energy to start my day! Ever since I was young, I have always preferred to cook my own oats, as opposed to using instant oatmeal. It takes much longer to cook, but the taste and texture are worth it, not to mention that instant oatmeal can have extra sugar and other unhealthy additives. To start, I boil 1 1/2 cups of water on the stove in a saucepan. Once the water has started boiling, I lower the temperature and add about a 1/4 cup of oats. The oats can take anywhere from 25 – 40 minutes to cook. To prevent them from burning, I stir them for a few seconds every 5 minutes. Once the oats have about 5 minutes left, I add in fruit, usually about 1/2 cup of raspberries and blueberries and 1/2 of a banana, sliced. Stir them so the oats can absorb some of the fruit flavors. Once the oats are done cooking, let them sit for 5-10 minutes to cool. And then….EAT! The best part of this meal is that it’s low-effort and easy-to-change. Some days, I add more oats, and other days, I load up on fruit. It’s critical to start your day off making the right choices, especially with the busy schedule of a STEM major! Personally, I eat eggs almost every day. They take minutes to prepare and can be customized to fit anyone’s taste. I mix up my egg recipes frequently…but my go-to is an Egg Sandwich. First, I turn the stove on medium and warm a frying pan. While I’m waiting, I put a whole wheat sandwich thin in the toaster and mash a medium avocado in a bowl with the juice of a 1/2 lemon. When the sandwich thin is toasted, I cover both pieces in hot sauce (you can never have too much hot sauce) and spread about a quarter of the avocado on one of the pieces. Next I dice about a quarter of an onion and half of a red pepper and let them cook in the pan. When they begin to brown, I add about half a cup of liquid egg whites to the pan and let the mixture cook. When the eggs are done, I add them to my sandwich and enjoy! Nothing about this meal is precise, which lets me quickly approximate all of the ingredients. Substitutions can easily be made based on what I have on-hand or what I’m feeling that day. For me, I usually alternate between using egg whites and two whole eggs cooked over medium heat, and I throw in mushrooms if I have them. The key to sustaining a healthy diet is finding whole, fresh foods that you enjoy eating and can easily prepare no matter how busy the day. Something my mom used to cook quite often while I was living at home was Roasted Chickpeas. It’s a relatively quick recipe and very easy to accomplish, even without any cooking experience at all. I have been using the recipe quite frequently this year, since I do not have much time to spend preparing meals. It’s also really really simple! To begin, preheat your oven to 450 F. I typically buy 2 cans of chickpeas at the store to make at once. Next, you must drain the liquid from the cans and lay the chickpeas out on a baking sheet. Spray the baking sheet with cooking spray or you can lay the chickpeas down on some parchment paper. Blot the chickpeas with paper towels to get any excess liquid off. You season them with some salt, pepper and garlic powder. Mix them around to evenly coat them. You can even add some cayenne pepper or siracha to spice them up! When the oven is ready, place the chickpeas inside and bake them for about 40 minutes or until crispy. And you’re done! This recipe makes a lot of chickpeas in a short amount of time, so it makes a great snack for the week. It’s the perfect recipe for someone always on the go, like a typical college student!!! Thi Nguyen (Biology): One of my favorite holiday movies is Home Alone. Home Alone tells the story of a mischievous and fun loving eight year old boy, Kevin McCallister, who accidentally gets left behind when his family leaves for Christmas vacation. 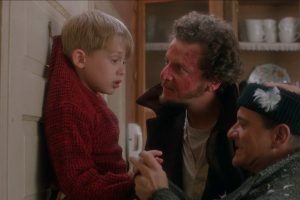 It gets more interesting when two burglars arrive in an attempt to rob the McCallister home while his family is away. Kevin takes it upon himself to protect the house. Overall, the movie has a great blend of humor and holiday spirit. It’s fun to watch and laugh at the predicament that Kevin and the burglars find themselves in! Iswarya Vel (Biology): Whenever the holidays come around, I never feel complete until I watch my favorite holiday movie Rudolph the Red-Nosed Reindeer. I have been watching this movie ever since I was a child, and it always puts me in the holiday spirit! It tells the story of a reindeer named Rudolph who was born with a special red nose. 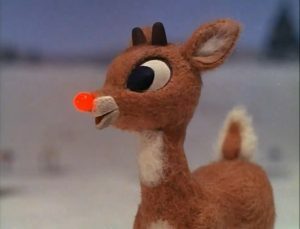 Rudolph was ostracized because of his different nose. He then embarks on a quest of self-discovery and figures out that his nose is what makes him special, especially when Santa needs him to navigate stormy weather on Christmas Eve. Maria Johnson (Biology): My favorite holiday movie is The Polar Express. 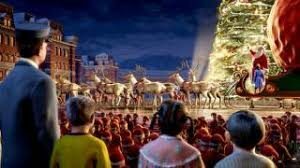 Everything about the movie just brings to life the magic of Christmas, and I remember watching the train station outside my window, robe on, hoping the Polar Express would come with steaming cups of hot chocolate and lots of other kids all waiting to see Santa. Even now, it’s still fun to watch the movie (which I do every Christmas Eve) and relive the magic and fun of the holidays. 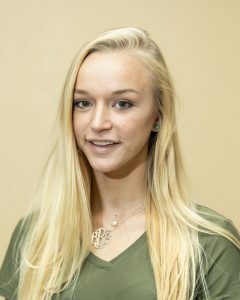 Zoe Mrozek (Environmental Science): My favorite movie during the holiday season would also have to be The Polar Express! It never fails to get me in the Christmas spirit. I remember the first time I saw it, I was in kindergarten and the train’s journey to the North Pole was truly magical. 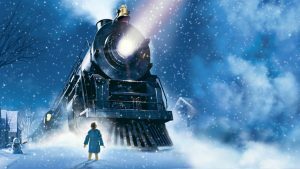 That year on Christmas Eve, and for many years after, I wished that the Polar Express would stop by my house and take me on a trip to see Santa. Every winter now, I look forward to watching this movie with my family and reaffirming my belief in the magic of Christmas! Michelle Wheatley (Mathematics): One of my favorite holiday movies is A Charlie Brown Christmas. I remember sitting and watching it with my family so many times during Christmas seasons over the years, and it always fills me with happiness. Charlie Brown is probably my favorite character because he goes out of his comfort zone to direct the play, and sticks with it although it’s tough. The Christmas spirit works its magic at the end, and everything works out! 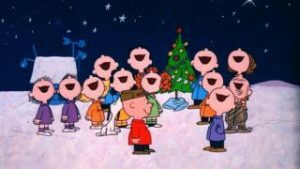 Charlie Brown movies have been a tradition in my family since I can remember, so it’s one of the cornerstones of celebrating Christmas for me. Emily Lehman (Physics): My favorite holiday movie has got to be The Year Without a Santa Claus. This movie is not only a classic claymation, but a heartwarming (and “global warming” for that matter) story about the presuppositions of kids all over the world. I find this movie really humbling in a sense because it reminds me that gifts, while nice, should not be expected or assumed. 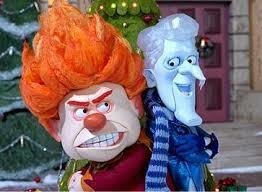 Also, the constant battle between Heat Miser and Snow Miser really resonates with my sense of existential dread about the changing of the seasons. Plus, their rap battle is a really catchy tune and has become my go-to song of the holidays! Maura Flynn (Biology): My favorite holiday movie is The Ultimate Christmas Present. 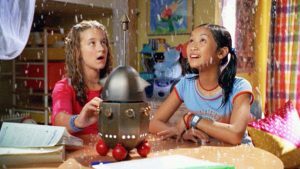 It’s a Disney original movie about two girls who steal a snow machine from Santa Claus. They create a blizzard in Los Angeles, which in turn causes many problems. 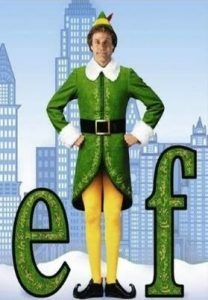 I love this movie because I can remember eating cookies and sucking on candy canes while watching it with my two older sisters. It’s the perfect indoor activity when the weather gets frosty. 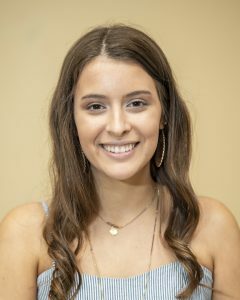 Gianna Penezic (Biology): My favorite holiday movie would have to be Elf starring Will Ferrell. It is so quirky and adorable, not to mention hysterical! I always feel so good after watching it. It never fails to put me in the Christmas spirit, and I can quote pretty much the entire thing! I mean, how could you not feel happy when watching Buddy eat candy-covered spaghetti or cause a rampage all throughout the Christmas Village in Macy’s, or prance around the streets of NYC without a care in the world? I feel as though everyone should strive to be more like Buddy the Elf, during the holiday season and throughout the rest of the year as well. After a long week of eating on campus…or whipping up ramen noodles or mac n cheese night after night…we all look forward to getting out into Philadelphia to eat. And by now, it’s safe to say we have definitely found our favorite places around town. Take note and remember these suggestions when you join us next year on Hawk Hill! Ashley Frankenfield (Chemical Biology & Finance): Philadelphia’s South Street has a lot of quaint restaurants. In particular, my favorite place to eat is Nomad Pizza. This restaurant focuses on serving artisan pizza from the highest quality of ingredients. Also the restaurant itself has a contemporary vibe. Elise Brutschea (Chemistry): There is no debate that my favorite restaurants are Italian. I am a sucker for Italian food, and I constantly eat pasta for lunch and dinner. So my favorite place to eat around Philadelphia is Pica’s Restaurant in Upper Darby, PA. Pica’s pizza is delicious! It’s square and the cheese is underneath the sauce (YUM!). But if you are going to go to Pica’s, you have to get their fresh, homemade pasta. I usually get Veal Marsala with Penne Pasta (in the Marsala sauce, of course) but anything you get there that has pasta will probably be the most delicious thing you will ever have in Philly. Not only is their food amazing, their service is outstanding. I always feel at home there, and I love to take my time at a restaurant and they never rush me. Pica’s is a must for anyone in the area! 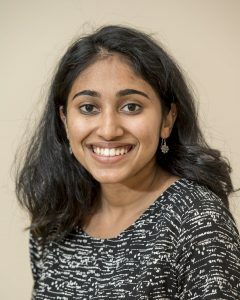 Lakshmi Narayanam (Biology): I have tons of favorite places to go in Philadelphia because there are so many amazing authentic-style restaurants. My absolute favorite place is near Penn’s Landing, a Mexican restaurant called Las Bugambilias. It is a little cramped but the food is so delicious, I keep going back. I always get the nachos because they have the best melted cheese I have ever tasted. The quesadillas and enchiladas are also great because they are made with fresh ingredients! They also have authentic Mexican sodas that are interesting to try. After a great meal, I love walking across the street to the Spruce Street Harbor Park. There are beautiful lights, food trucks, hammocks and music that you can enjoy for the rest of the night. Kaleigh Williams (Biology): I absolutely love the Philly food scene and all it has to offer. One place in particular that I love to eat at is Double Knot in Center City. At first, this restaurant appears to be a young, fun hipster coffee shop that offers amazing specials on small dishes in the early evening. However there is a secret underground restaurant which is very fancy and has some of the best food I have ever tasted. When I finally got the opportunity to explore downstairs, I was amazed at how great the service was and how awesome the food tasted. I ordered three different types of sushi, edamame and a roasted mushroom dish that was to die for! The underground restaurant is very dark and mysterious, but in my opinion, it added to the experience. Even if you do not have time to adventure into the lower part of Double Knot, the upper restaurant has a very welcoming vibe too. Every single person I have met there has been very kind. I would definitely recommend visiting this spot when you find yourself in Center City. Jamilyn Mooteb (Physics): I love discovering new places to eat and enjoying new blends of flavors. Regrettably, I have not fully explored Philly’s food scene, despite exploring the city in my spare time over the summer. Despite this, I have a soft spot for California Pizza Kitchen on City Avenue (near SJU). It was one of the first restaurants I visited when I first arrived here. Pizza Kitchen has great food selections and projects a peaceful, calm aura–perfect for a relaxing outing with friends! If you’re daring with your appetite, another personal favorite is the Reading Terminal Market in Center City. Little shops and mini-restaurants are nestled so close together, it’s like wandering into a small village. The cuisines are so diverse–you can always find what you’re craving! I hope you visit these places and satisfy your own appetites! Whether you’re brand new to the Philadelphia area, or just need a reminder about where you can have the most fun here during the autumn months, the McNulty Fellows are here to steer you in the right direction. Read below for a wide range of suggestions that run the gamut from peaceful spaces to enjoy the cooler weather to frightening Halloween celebrations. First Friday is a year-long tradition in Old City where art galleries and independent shops open to the public from 6:00 – 9:00 p.m. on the first Friday of every month. Restaurants also offer special deals. I find this is especially enjoyable in the fall because the leaves are turning colors and the weather is so pleasant. Old City is a lot less intimidating than Center City, which is why I recommend it to people who don’t necessarily know Philly very well. If you find yourself there, the Center for Art in Wood and the Clay Studio are definitely my suggestions for must-see stops! Fall for me always means going to Chinatown with friends, grabbing a meal at our favorite restaurant, Dim Sum Garden, and wandering the streets looking for interesting shops to browse in. Dim Sum Garden has been a favorite of ours since freshman year because they sell the best soup dumplings in the world at an affordable price! It’s one of the best fall meals because the soup warms us up on the inside for the fall chill outside. Chinatown is a great place to go in the fall (or just about any season). There are always different events, like the Night Market, taking place. It’s also a great place to learn about cultures other than our own. The fall season in Philly is full of fun festivities, especially surrounding Halloween. Philadelphia is home to the Eastern State Penitentiary, which was once called the most famous and expensive prison in the world. Stories about famous inmates, like Al Capone and “Slick Willie” Sutton, attract Philly locals and visitors to the historic site, where tours run year-round, every day of the week. To make things even more exciting, during the end of September through October, the Penitentiary turns into a massive haunted house called Terror Behind the Walls, ranked the #1 haunted house in the US by Forbes. You have the option to stand back and watch the action or interact with the actors to become truly immersed (and terrified!) by the action. You will most definitely be scared either way as you make your way through each of the six long attractions. Tickets are currently on sale, so grab your friends and head to the Eastern State Penitentiary for an experience of a lifetime! My favorite thing about Philadelphia is how easy it is to walk everywhere. You can start your day at one end of Center City or one park, and end you day at another. There are many parks to spend time in, but two of my favorites are Rittenhouse Square and Washington Square. Rittenhouse Square tends to be lively, filled with dogs, families picnicking, street performers and Mr. Softee trucks! Washington Square, on the other hand, is on the quiet side and is filled with history. You can always find a wedding or bridal party photo shoot taking place there. Both parks are surrounded by great dining options too. So next time you’re in Philly, I highly recommend checking out either (or both!) of these parks and enjoying a day with family and friends. What’s the best part of Philly? All the great museums, for sure! There’s a museum for every single person. Like history? How about the newly built Museum of the American Revolution or the Penn Museum? Are you an art buff? We have one of the most architecturally beautiful and comprehensive art museums in the world. The Philadelphia Museum of Art even has Van Gogh’s famous work, Sunflowers! And it’s in a great location, right at the end of Boathouse Row so you can go for a beautiful riverside walk and run up the famous front steps, just like Rocky! If you’re more of a science buff (like all of us McNulty gals), there are three crazy cool museums to choose from. The Mutter Museum contains hundreds of medical specimens to keep a future medical school student engaged for hours (although be warned: this is not for the faint of heart). The Franklin Institute has a huge human heart that you can walk through (need I say more?). And the Academy of Natural Sciences right next door has real dinosaur bones. No matter how cold it gets outside, everyone will still be having a great time inside, exploring Philadelphia’s many great museums.